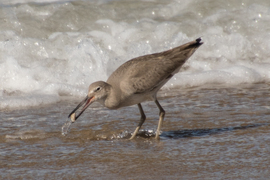 Willet catching a sand crab on Manhattan Beach. I am a retired business executive and engineer; and I now spend a lot of my free time doing wildlife photography. I especially enjoy taking hummingbird photos.